NEW ULM — April-May is the best time to control invasive garlic mustard. This noxious weed is spreading throughout southwestern New Ulm. Deer are picking up the seeds in their hooves and moving it wherever they go. Just one seed can grow into a plant that can produce enough seeds to start a major infestation. Left uncontrolled, garlic mustard forms a dense carpet and kills off other shade-loving ground plants including tree seedlings, wildflowers, grasses and morels. Wildlife does not like the taste of garlic mustard, so they avoid it. Small populations of garlic mustard can be easily managed by early detection and control. Learn how to recognize it. If you find some, spot spray the first-year rosettes with 2% Roundup. If you find the 2-4′ stalks, pull them, immediately place them in paper yard waste bags, dry, and then bring to the tree dump for burning. 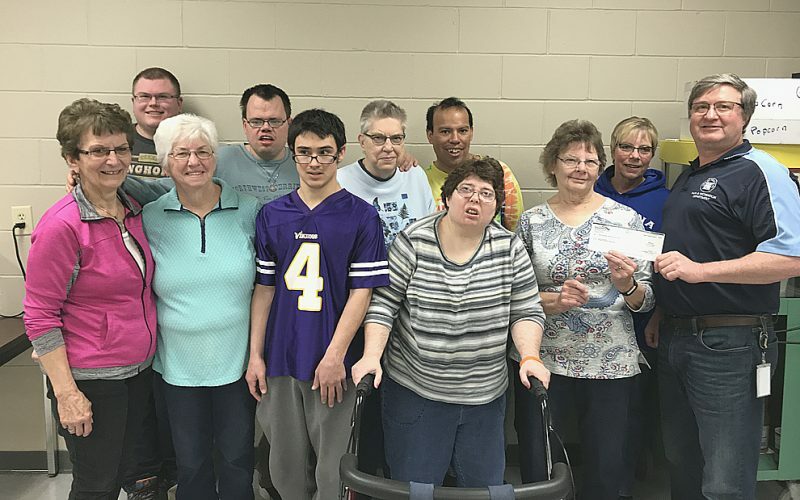 NEW ULM — An All-New Earth and Family Fair is being held on Saturday, April 21, from 10 a.m. to 1 p.m. at the New Ulm Civic Center. This year the New Ulm Community Bike Expo, the Family Fair from New Ulm Early Childhood Family Education and local Earth Day activities are all joining together as one big event with loads of fun and free activities for the whole family! Celebrate Earth Day: Join us for a wide variety of events from various organizations, including a leisurely bike ride throughout New Ulm with experts from the Minnesota Department of Natural Resources to learn more about our amazing earth and the wonders of nature. Celebrate young children: Get information from a host of different organizations and programs on the many fantastic community services and resources available for young children and their families while children create a variety of projects. Celebrate biking: Check out the latest bike-related products and services, explore bicycle clubs and other local resources, and learn from the experts about bicycle safety for all ages. Participating organizations include: Hearts Beat Back: The Heart of New Ulm Project, ECFE, New Ulm Park and Recreation, Minnesota Department of Natural Resources, Healthy Together, and Brown, Nicollet, Le Sueur, and Waseca Counties.